NO PHOTOS on this page can be reproduced in any manner. These PHOTOS are copyrighted. 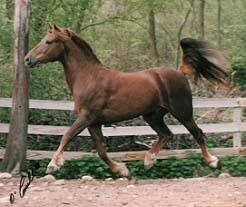 Lippitt Morgan - Chestnut - 5-24-92 - 15H - Bold & Athletic, Excellent Temperament, Great Bone & Conformation. 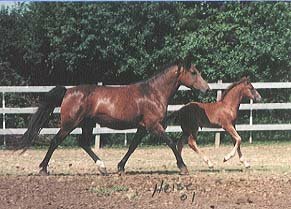 Highly Intelligent With A Kind Disposition, Very Typey, Joey Has Given Us Big Athletic Foals. I bought Joey as a one month old, and have raised him from a pup. 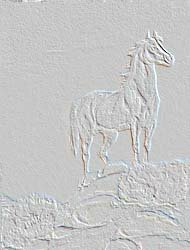 I adore this horse, and he knows it. He has shown his love for me many times, and protects me when there is danger. He is one of a kind personality wise, he is my buddy & my pal. 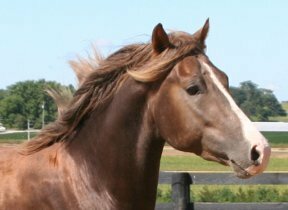 Joey was gelded in April, 2006 and resides with his best friend and buddy Ember Lisette. 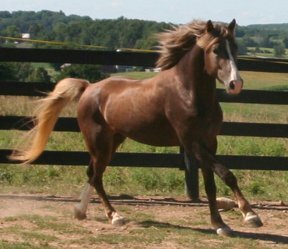 Lippitt Colt - Creamy Flaxen Liver Chestnut - connected star, strip, snip - Left hind stocking - Elegant mover, very athletic, pretty head, great conformation, very typey, beautiful temperament. Should finish 14.3+h. 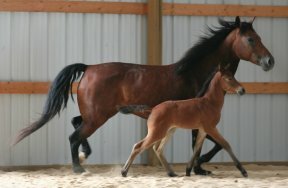 I love this colt, he is Joey over and over. Its like having Joey as a young kid again. 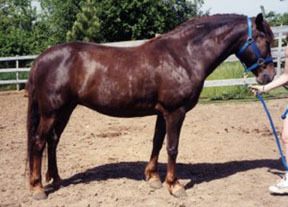 Lippitt Gelding - Bay With Faint Star - 5-5-95 - Athletic, Great Temperament, Bone & Conformation, Very Typey, Smooth Gaits, Should finish at 15.1+H. Photo on left taken September, 1997. Photo on right taken October, 1998. 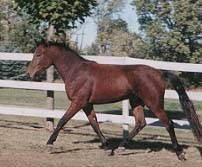 Lippitt Mare - Chestnut with Faint Strip - 5-16-96 - Athletic with excellent bone, very type, great conformation, and smooth gaits. 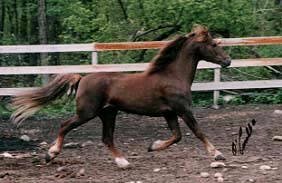 Lippitt Mare - Bay - Faint Star - Both Hind Pasterns - Elegant mover, very nice, pretty head, great conformation, very typey. Should finish 14.3+h. Jeff & Julie Heise - Watertown, WI.